You have heard the Tata Indica Vista deliver 25 kmpl mileage but the greatest one is yet to come in India and it will be from the Ford stable. 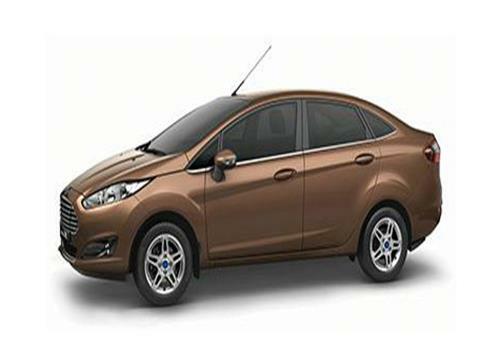 Ford has started the production of the Ford Fiesta ECOnetic hatchback which delivers 36 kmpl mileage. Believe it or not, that too in diesel. So expect the running cost to come down to just over a rupee in India. Sounds like maintaining car will be no costly than a two wheeler then. However, Indians will have to wait for Ford to quench their obsession for mileage. The Ford Fiesta ECOnetic hyper fuel efficient car has hit production in Europe and is available in around GBP 14,445 (Rs 11 lakh) there. Powered by 1.6 L TDCi Duratorq diesel engine, the Ford Fiesta hatchback will be the most fuel efficient car in this segment. Ford has made this possible with the combination of several technologies in the hatch. The combined name given to such a conglomeration of technologies is ECOnetic. It is quite similar to BLUEefficiency and BLUEmotion of Mercedes and Volkswagen respectively. The technology includes auto start stop function that automatically switches off the engine if it is not in use for some time. There are smart regenerative charging systems that change several losses into regeneration of energy. There is also an ECO mode at which the car moves on at the most fuel efficient way. Equally there is a shift indicator so that there are perfect gear shifts for the best mileage. For achieving 36 kmpl Ford Fiesta engine has been specially tuned and the gears have been optimized in the most efficient way. Besides, the suspension of the car has been lowered a bit to make it more aerodynamic. There is under shield to help better the aerodynamics of the car in addition to the wheel deflectors. The car also has been fitted with low rolling resistance tires. As per reports, Ford will be putting the ECOnetic technology in all its cars by this year end. However, India has to wait a long time before Ford could devise a cheaper way to step up mileage and still keep the price of the Fiesta ECOnetic down.